Le t’s face it, there is really no way of getting around teaching vocabulary. Students need to learn new words on a regular basis in order to increase their personal vocabulary and to be able to fully understand what they are learning about in class. 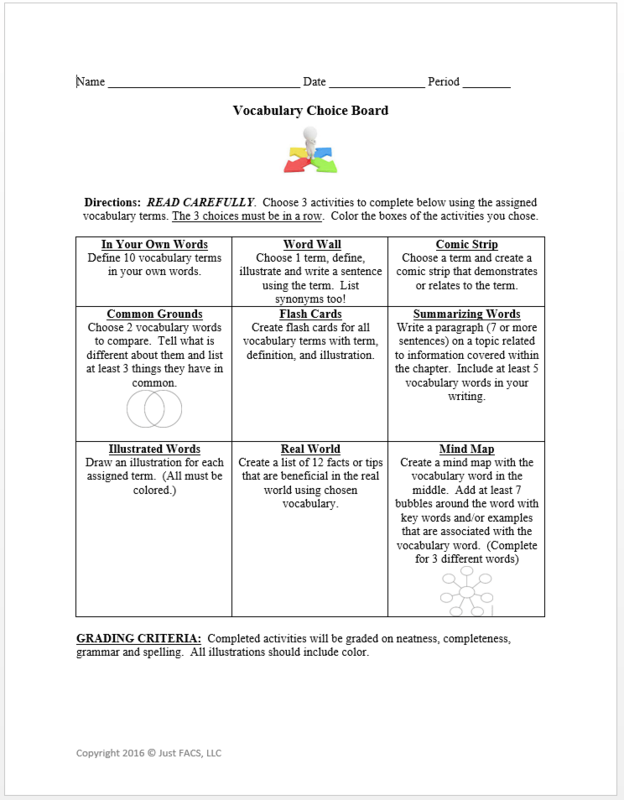 In order to get out of the same boring routine when teaching vocabulary, here is a vocabulary choice board that can be used with any chapter, lesson, subject area, etc. in order to provide variety and offer the students choice. I hope you find this resource of great use. Feel free to drop a line below and let me know what you think!